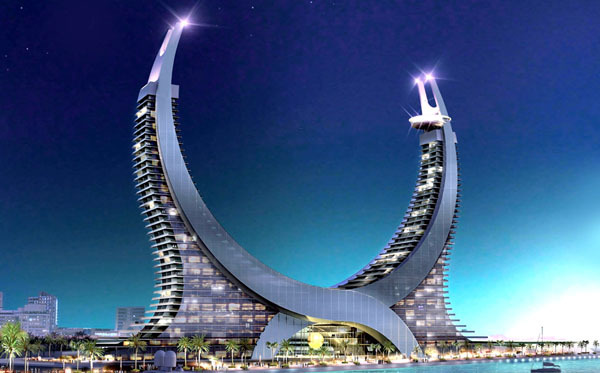 Conspel Qatar, part of A&P Group is pleased to announce that it has been awarded the MEP works for the iconic Katara Towers Project in Lusail City, Qatar. Conspel Qatar is proud to be working with such a reputable client as Katara Hospitality and to continue its working relationship through this new project with HBK Contracting. A&P Group understand the importance of maintaining the character and culture of the societies we operate in. We engage with the local communities in social and charitable events supporting the preservation of local culture and customs and actively supporting admirable causes and initiatives such as charitable organizations like Mawaheb. Mawaheb from Beautiful People is a Dubai-based art studio for adults with special needs, now known as ‘the determined ones’ following a directive by His Highness Sheikh Mohammad Bin Rashid Al Maktoum, Vice-President and Prime Minister of the UAE and Ruler of Dubai. Meaning ‘talent’ in Arabic, Mawaheb is an art studio for the determined ones, 16 years and above. Mawaheb recently presented A&P with a beautiful painting featuring some of A&P’s projects in appreciation of its support. 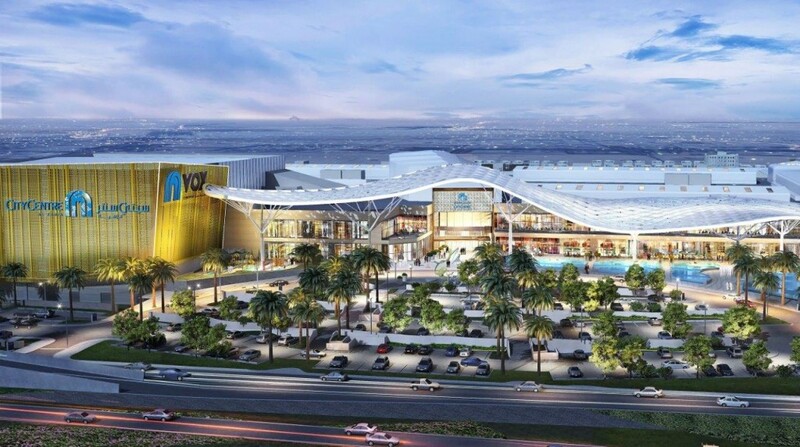 A&P Paraskevaides and Partners LLC part of A&P Group, has recently been awarded the sub-contract for the MEP works for the prestigious Al Zahia City Center Mall. The three-level mall with a built-up area of 248,300 square meters, will be part of the Al Zahia community in Sharjah, which in addition to the mall consists of themed parks, leisure facilities, residential villas and apartments. We are proud to be working with such a respectable client as Majid Al Futtaim for the first time, and with the main contractor, Consolidated Contractors International Company, who we have successfully cooperated with in the past on other projects. A&P Paraskevaides and Partners awarded the MEP airside works package at Al Maktoum International Airport. Al Maktoum International Airport at Dubai South (Dubai World Central – DWC) in Jebel Ali has recently begun its ambitious expansion plans to make it the largest and busiest airport in the world. 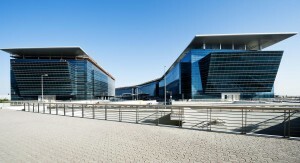 A&P was awarded the MEP contract for the airside works package for the Passenger Terminal Block (PTB). Our scope consists of upgrading the current airfield through major relocations and new installations. Providing 12 new substations, the related MEP works and special airport systems at the new aprons under construction. This extremely fast track project has a duration of 11 months and requires precise planning and expedited procurement, design development and execution, qualities for which A&P is known and selected for. The main contractor is National Wheel J&P LLC. 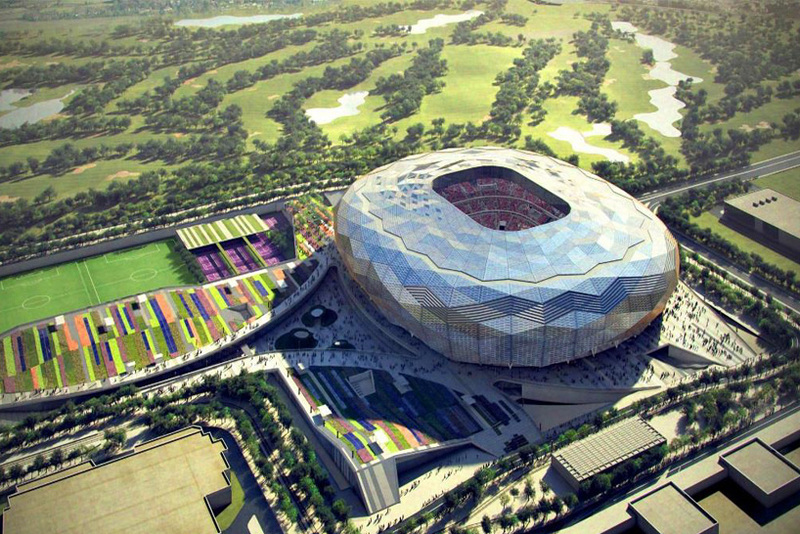 Conspel Qatar WLL, part of the A&P Group of Companies, is one of the four partners in JPAC JV, recently appointed to construct Qatar Foundation Stadium in Doha, Qatar, on a Design and Build basis, by The Supreme Committee for Delivery & Legacy (SC). situated in Education City by the end of 2019. The stadium which will host games up to the quarter finals during the 2022 FIFA World Cup™, will have a tournament capacity of 40,000 and will include among others a pioneering and innovative cooling technology. This will allow for comfortable conditions for players as well as visitors to enjoy the venue. The main feature of Qatar Foundation Stadium, which will be located within the Hamad Bin Khalifa Sports Complex (HBKSC) in the western area of Education City South campus, will be its complex geometrical patterns designed in reference to Islamic Architecture and Culture. The seating capacity of the stadium will be reduced to 25,000 after the tournament, to satisfy Education City’s needs as a multipurpose sports facility that will also have the capability to host a variety of sports as well as entertainment related events such as concerts and performances. The A&P Group of Companies which specializes in MEP construction, and forms part of the J&P Group, has been operating in the GCC region since the early 1970’s, and is currently working on multiple Mega Projects across various industries in Qatar, KSA, UAE, Oman, and other countries in the region and elsewhere. “A&P, along with its JV partners, is proud to be associated with such a prestigious Project, and aim to deliver on time and to the level of quality and professionalism expected by our respected Client.” – Yiannis Constantinou, Group CEO. Effective February 7, 2016 A&P will be relocating to its new offices in DWC. 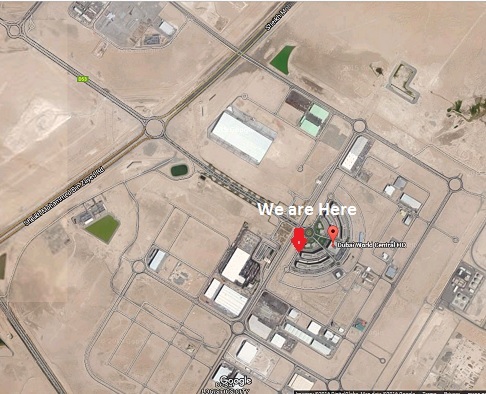 The new premises are situated in the new Dubai South District, close by Al Maktoum airport and Expo 2020 ground. We are moving to DWC Business Park West Building W2 on the third floor. Our new phone and fax numbers are available in the Contact Us page. All communications using our previous contact details are forwarded to these numbers. 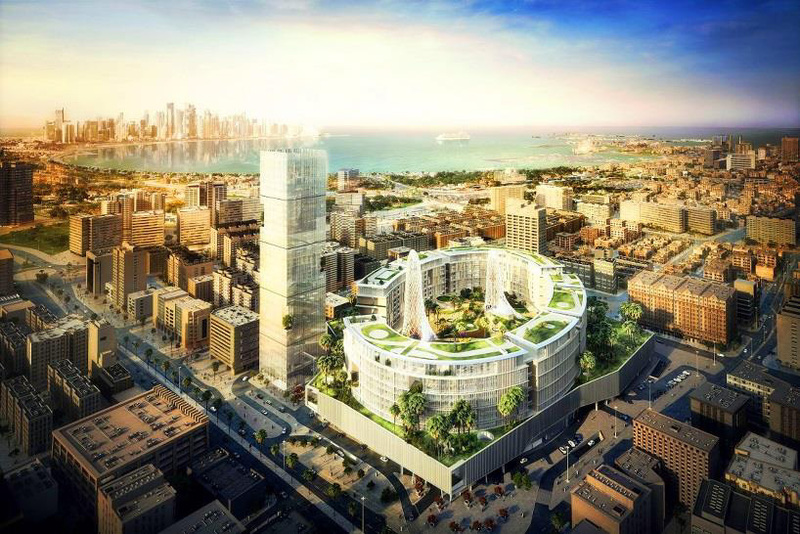 A&P Group, through its Conspel Subsidiary in Qatar Awarded 1.6 Billion Contract for MEP Works on the prestigious “Doha Oasis Mixed-use Development” project. It is a pleasure to announce that the A&P Group, through its Conspel subsidiary in Qatar, has been awarded the MEP works on the prestigious “Doha Oasis” project. The award, in the amount of Qatari Riyals 1,583,417,979 (USD 434 million), is the largest value project ever secured by our Group, as well as the single largest MEP project in Doha, and is in line with our strategy to expand our business further, build on our strengths, and solidify our reputation as the foremost MEP Contractor for Technical Expertise, Quality, and Reliability, through demanding and rewarding landmark projects. Located in the heart of Doha, adjacent to another important project of ours, the Downtown Msheireb Project Phase III, the Doha Oasis project comprises a 30 storey 7-star hotel tower consisting of 130 Luxury Suites, Substantial Retail Facilities and 245 luxury residential units, for circa 440,000m2 of mixed use floor space. In addition, the development will encompass the largest indoor theme park. The superstructure is erected on 4 underground Basement levels for a built up area of circa 276,000m2.